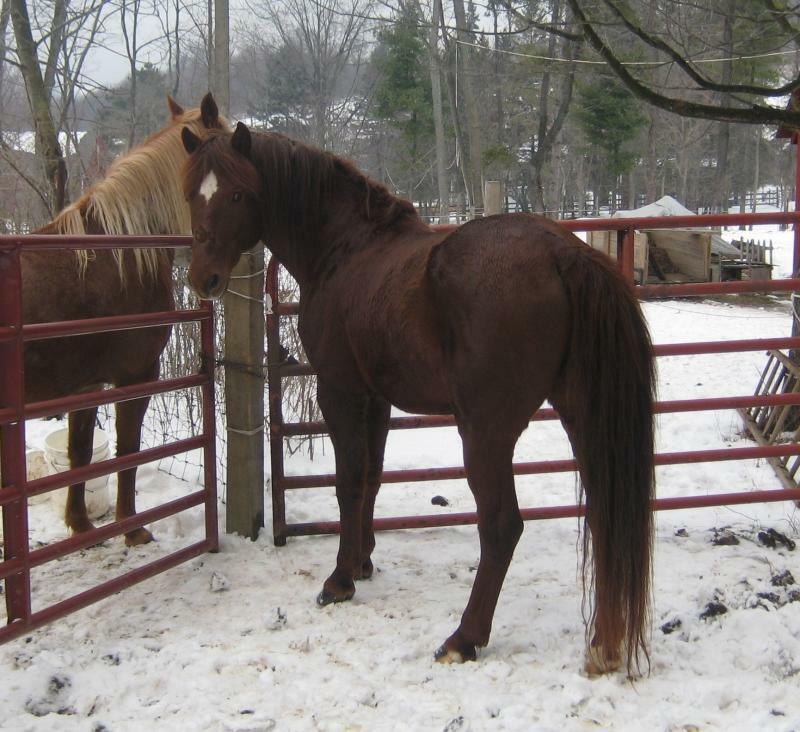 Fare Thee Well has the most gentle spirit and is so easy to work around, even when he is pastured with a mare..... you forget he's a stallion. Quietude Fare Thee Well has a very high percentage of Justin Morgan blood......21.61% and .....12.50% of Jubilee King blood. Quietude Fare Thee Well is a horse that dreams are made on. 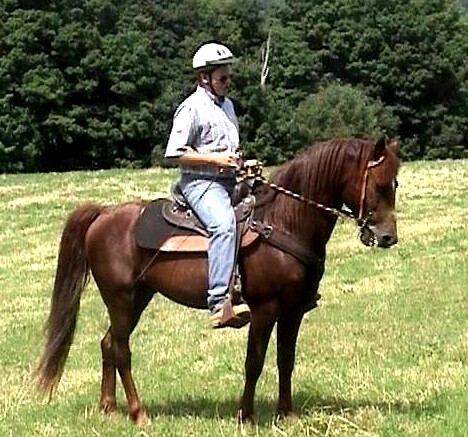 We never owned a stallion before and we didn't know what to expect and he was not quite two-years-old when we brought him home. My granddaughter Kalie Morgan (yes her middle name is Morgan) was only two when she spied Fare Thee Well and the mare behind the barn. Under the wood fence she crawled and sat at the feet of Fare Thee Well and our mare. Before I could get to her I watched as this gentle stallion reached down and nuzzled her outstretched hand ever so gently. After my heart started beating again I knew I could never explain the tenderness this stallion showed this baby. He knew, trusted and made a connection...... and 15 years later he's still the same. 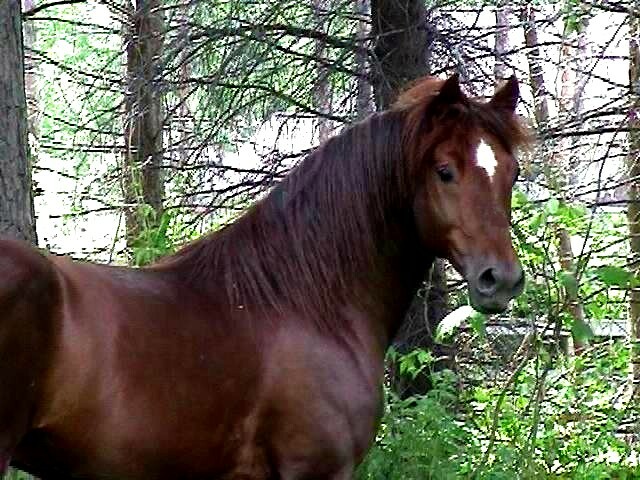 We try and give him the love and respect he has given us over the years as a stallion, father and trusted friend. He is absolutely amazing. 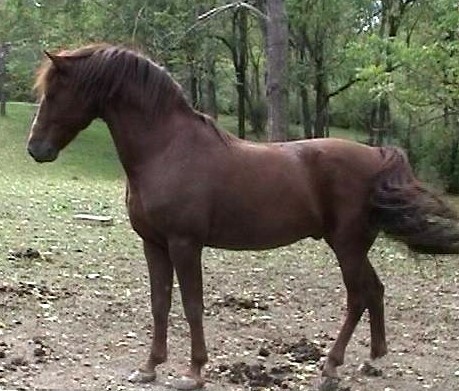 Conformation, excellent feet, intelligence,easy going, beauty, gentle kind spirit, poetry in motion, all wrapped up in this neat little stallion. Foaled in 1970 and bred by Frances Bryant, Crawford helps to bring some old blood forward to this century. His sire was the wonderful Criterion, also bred by Mrs. Bryant. Crawford was a solid, correct, handsome, kind-tempered horse with excellent gaits who was not truly appreciated until late in his life. His get went on to become loved companions and breeding stock. His sire Criterion, foaled 1961, had over 70 registered get. Criterion was well named as he did indeed set the standards for excellence. Watching him trot was like watching the spokes of a wheel go around—each stride being like the one before, never faltering or off. He had that true Jubilee King action of reach and roundness with the power coming from the rear. His kingly but kind nature was passed on to his get as was his willingness and intelligence. Crawford got all this and had the good Jubilee King traits also reinforced through his dam’s dam. Criterion’s sire was also bred by Mrs. Bryant. Jubilee’s Courage was a son of the great Jubilee King. 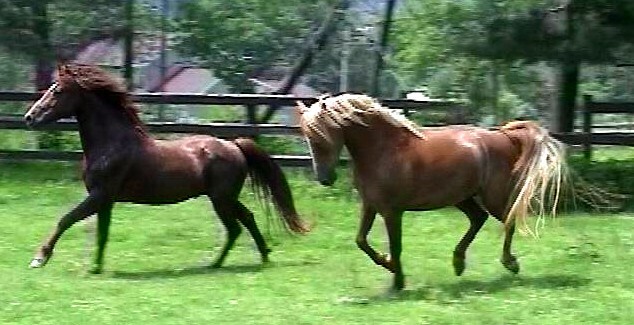 Courage sired many good horses who went to become important in other’s breeding programs. Bred by the master breeder, J. C. Brunk, Jubilee King was a Morgan of vast importance to the breed. He founded a family which lives on and is still sought after by breeders of today. Jubilee King was the result of decades of careful breeding by Brunk, who was breeding for a stylish, correct, good-minded using Morgan. 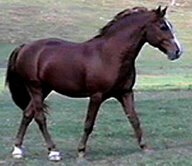 The dam of Jubilee’s Courage was the Old Vermont mare Townshend Lass, who had, along with her sire, the highest percent of Justin Morgan blood of any horse of her time. She was by the beautiful John A. 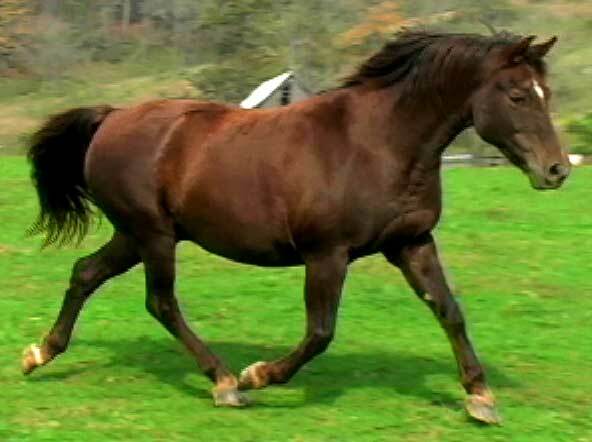 Darling and out of Gladwin by Ethan Allen 3rd, a horse foaled in the late 1800’s. The dam of Criterion was Lippitt Robrita, a lovely mare by the grand Lippitt Rob Roy who was known as a good sire and good using horse. 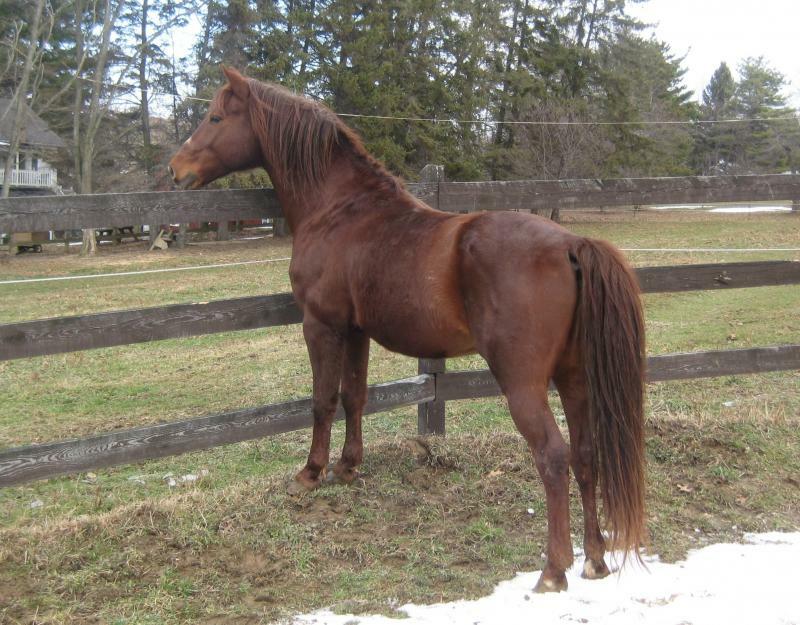 Lippitt Robrita was out of that Blue Hen mare Alrita who had two close crosses to old Ethan Allen 3rd. Alrita was the dam of many excellent producing mares and sires, as well as some excellent performance horses. Crawford’s dam was Precious Ashmore, also bred by Mrs. Bryant. 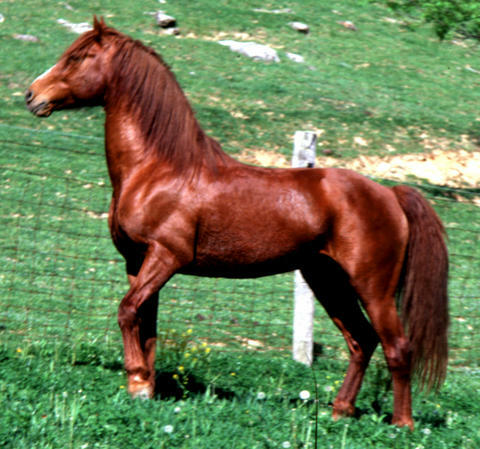 Precious, a lovely correct mare who was also an excellent producer, was by the gentleman Lippitt Ashmore who was known for excellent temperament, usability and as a good sire. 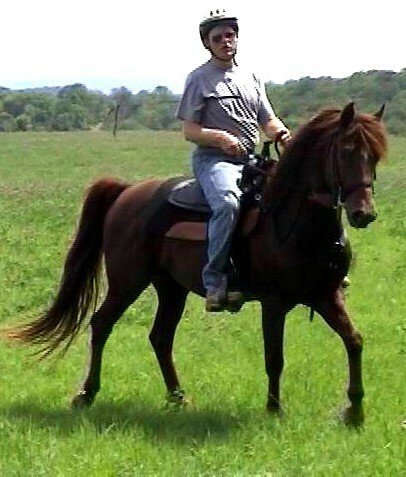 Precious was out of another wonderful producing mare, Paragraph, who was herself out of another excellent producing broodmare, Nella, who in turn was out of yet another great mare, Liza Jane, and yes, she too was out of yet another of those great mares, Double Daisy. Paragraph was bred by J. C. Brunk and was yet another triumph of his decades of breeding. The sire of Paragraph was Jubilee King, whose pedigree so closely matched that of Nella’s, making an intricate dance of close breeding of which Brunk was such a master, setting the good traits so firmly for all who had the wisdom to follow the lead Brunk set. Crawford brings to today that grand heritage started by Brunk—using Old Vermont line mares on the Daniel Lambert based stallions. Brunk also added in the excellent qualities of old Knox Morgan to the mix. 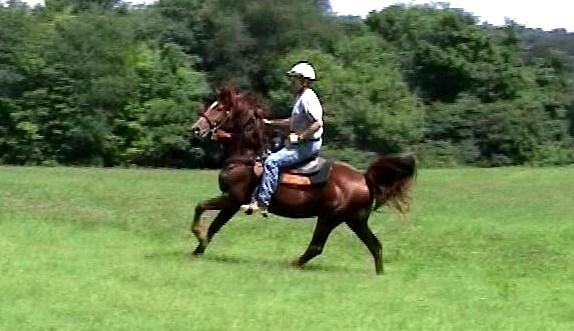 Mrs. Bryant took the Brunk bred Jubilee King and Paragraph and then used the Old Vermont stallions and mares of her era. Crawford is the result of nearly a century of careful breeding by breeders who really knew what they were doing. Probably, it can be said that he is the result of such breeding all the way back to Justin Morgan himself, and is so on every line of his pedigree. There are no holes anywhere in his pedigree. His heritage is one of true Morgan strength and quality. Fare Thee Well's Dam: "Daisy Woodbury"